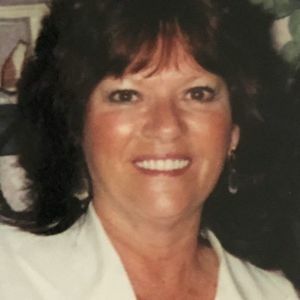 Donna J. Isom,70, of Wylie Texas passed away on November 19, 2018 after a lengthy illness. Donna was born on September 30, 1947 in Oak Park, Illinois to George and Jeanne Frey. She graduated from North Wheaton High School in 1965. Donna was a loving mother. She enjoyed time spending time with her family, especially her grandchildren. Donna is survived by her children, Dawn Rhodes and husband Eddie, Dana DeMay, and Bill Stearns and his wife Lesley. She is also survived by her grandchildren, Tyler DeMay, Aubrey Owen and husband Bryce, Trevor Rhodes, Hunter Rhodes, Hannah Pechacek and husband Noah, Kailey Stearns and great grandson Jaxen Owen. She is also survived by her brother Bob Frey and wife Shannon and her sister Sandy Rasmussen and husband Jim. A memorial service is scheduled for 2:00 pm on December 1, 2018, at Charles W. Smith and Sons Funeral Home in Sachse, Texas. All are welcome to attend and celebrate Donna's life. The family would like to thank staff at T. Boone Pickens Hospice and Palliative Care Center for her care during her last days. We shared a birthday and spent our 60th birthday at my house in NH. Tried to call today and discovered both of your phone numbers were disconnected and sadly I googled to find you have left us. Donna you were a big part of our family. We spent so many holidays, Birthdays and fun times together. I thought of you as a second mom and a second grandma to my children. Until we meet again! Love you!!! I cherish the memories we have made during the last 30 years . Our trips, the dinners out but mostly our long talks. We will see each other again. Love you dearest friend. You will be missed Aunt Donna and we all loved you so much. I'm so glad we got to spend so much time together and had some good laughs and shared some great memories. My thoughts and deepest sympathies as you mourn your loss. We love you so much grandma!